Avengers: Endgame co-director Joe Russo has arrived in Mumbai on to kick off his Asia Pacific promotional tour for the final film in the Avengers franchise. During a promotional event, Russo was served a Marvel thali full of Indian delicacies. The traditional Indian thali was not just any ordinary platter but it was specially made for the director as it was laid out in an initial 'A' shape which stood for the Avengers. The director seemed unfazed by the massive platter that comprised of 16 bowls filled with various delicious Indian savouries and sweets. During his visit to India, Russo also collaborated music maestro AR Rahman to create an all-new Hindi anthem for Avengers: Endgame. Earlier Russo had mentioned that he was exited to visit India and said, "I am absolutely thrilled with the passionate response Avengers: Infinity War received in India, and cannot wait for you to see Avengers: Endgame. Thank you for embracing these movies. I am excited to be coming to India and eager to meet our Indian fans." 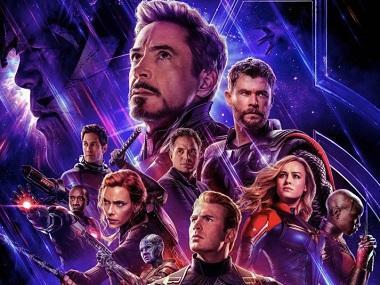 Bankrolled by Kevin Feige, Avengers: Endgame will release in India in English, Hindi, Tamil and Telugu on 26 April.